With big game hunting seasons still a couple of months away, early September may seem like an oddball time to start worrying about getting your rifle zeroed in, but take the word of an old (and getting older!) Pacific Northwest deer and elk hunter. But it is the perfect time to be heading to the nearest gun range to make sure your rifle is up to the task for this fall’s action. You may only get one shot, and it needs to count. Years ago I began using scopes on all of my serious modern rifles. My eyes aren’t what they were back in my 20s and early 30s, and the addition of a scope on my rifles not only made good sense, it was pretty much essential. Thanks to good glass on various rifles over the years, I’ve notched tags in four states and actually didn’t take a shot that might have cost a hefty fine because a buck that I could see in a bit of ground fog out on the Wyoming prairie actually turned out to be two bucks, one standing right behind the other. I waited until they separated and put venison in the cooler. I’ve even got a scope on my .22-caliber Ruger 10/22, a little semi-auto that was part of a test and evaluation some years ago that proved so accurate that I hung onto it. 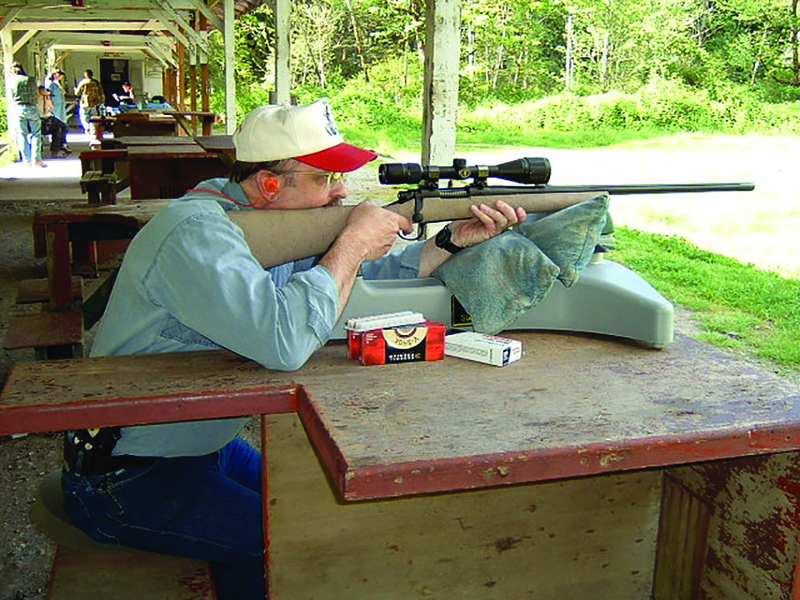 Fitted with a Bushnell 1.5-4X scope, that rifle became something of a centerpiece for a story I later worked on about plinking. When you can shoot the heads off kitchen matches at 25 yards off a rest, there is nothing to prevent making head shots on rabbits or even dumb grouse, squirrels or small varmints. Today’s rifle scopes feature the best optics anybody can buy in a variety of price ranges. Always buy the best you can afford, and you will never be disappointed. One of my .30-06 rifles has a Swarovski Optik 3-10X scope on top, while another wears a Bushnell in 3-9X. My bolt-action Savage in .308 Winchester is topped by a Leupold 3-9X, and my .257 Roberts features a 3-9X Burris that will likely see some action in October, as I haven’t hunted with it in a few years, and it’s due for a field trip. My Model 99 Savage is also scoped with an old Bausch & Lomb 2-7X. 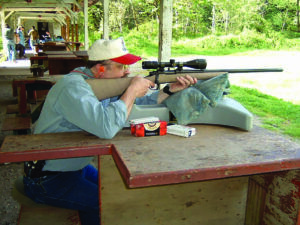 I used that rifle for years with iron sights —a full buckhorn rear and factory bead up front – but finally had to admit that it was time to make it reach out farther than I could see even with glasses. Readers will observe that most of my scopes are 3-9X, and there’s a reason for that. I do a lot of glassing with 8X binoculars, and having a scope with the same magnification capability will deliver the same size image to my eye when it’s time to shoot. 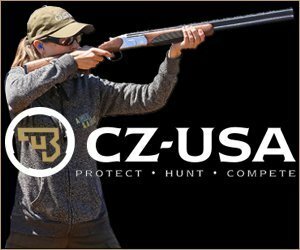 The 3-9X is the most popular power/zoom range among North American hunters unless they are folks who take real long shots. There is some controversy over whether shooting at long distances is beyond the realm of “fair chase,” and having killed one deer at better than 350 yards a few years ago, I can agree that long shots will stretch the marksmanship capabilities of a lot of people. Others, however, seem to be deadly at a distance, though when one considers loss of projectile energy at longer ranges, this is an area where the shooter needs to be at the top of his/her form, using a caliber with a bullet weight that will get the job done. Truth be told, most “long” shots probably aren’t that long. Thanks to modern rangefinders, sometimes an ego can be deflated a bit, but not to worry, because a notched tag at any range carries with it some bragging rights! Workman spends as much range time as possible with his rifles during the “off season” so that he’s sure where his rifles shoot time after time. How well a scope performs depends upon a lot of components, not the least of which is the objective (front) lens. There are scopes today with 56mm objectives, many others with 50mm and 40mm objective lenses. They are designed to not only provide a sharp edge-to-edge image, but pull in all the available light that is possible. And that brings us back around to the calendar. As the month opens, we’re still enjoying those long, lazy days of summer. By the end of the month, daylight hours are shrinking, and that allows the hunter to practice in different light conditions. Dusk and dawn provide a lot of shots at game we might not see any other time of day, and the scope must be up to the task. One might consider an illuminated scope, especially if hunting will be in a dark landscape. In the Pacific Northwest, autumn skies are frequently dark gray even at midday, so illumination of the reticle might give one an edge. Same goes for weather in the upper Plains states, and in the deer woods of the Great Lakes and New England states. Even with a variable power scope, hunting in such environments might best be done with the scope set at 4-power, so one can zoom in close if there is a necessity, while leaving the scope on a lower power seems to provide a slightly brighter image. Mounting a new rifle scope is a bit time consuming but it is important to marksmanship in the field. I’ve got a good rifle rest that holds the gun solidly while I install a scope. You’ve got to get the reticle lines as straight up and down, side to side as possible. Once that’s done, head for the range. I set up two targets, one at 25 yards and the other at 100 yards. From a solid rest, fire one shot at the close target and see where it strikes. Let the barrel cool a bit, fire a second round using the same point of aim. If the second bullet strikes at the same spot, adjust your scope accordingly for windage and elevation. Say your bullet hit 1½ inches low and an inch to the left. On a standard scope, one click of adjustment is equal to moving your sight a quarter-inch up or down or side to side. But at 25 yards, that requires four clicks, so raise your sight picture 24 clicks and move your sights to the right by 16 clicks. Fire a third shot and if you’re in the X-ring shift to the 100-yard target after allowing the barrel to cool. You can fine-tune the scope adjustments on the 100-yard target. If your bullet strikes high at 100 yards, now you can adjust the reticle a quarter inch with a single click of the adjustment knob. This should take no more than three shots at 100 yards if you’re patient. Once the rifle is zeroed at 100 yards, set your sights to match the hunting environment you will be in. If you plan to take shots at 250-300 yards, you will want to adjust the sight so that you are shooting 2-4 inches high at 100 yards. All of my rifles shoot about 2.5-3 inches high at 100 because out where I pursue deer, longer shots are the rule rather than the exception. It’s fair to note that several notched tags, including ones from Utah, Montana and Wyoming, affirm that the formula works. And note that you should always let the barrel cool between shots because that first shot in the field will be fired through a cold barrel. 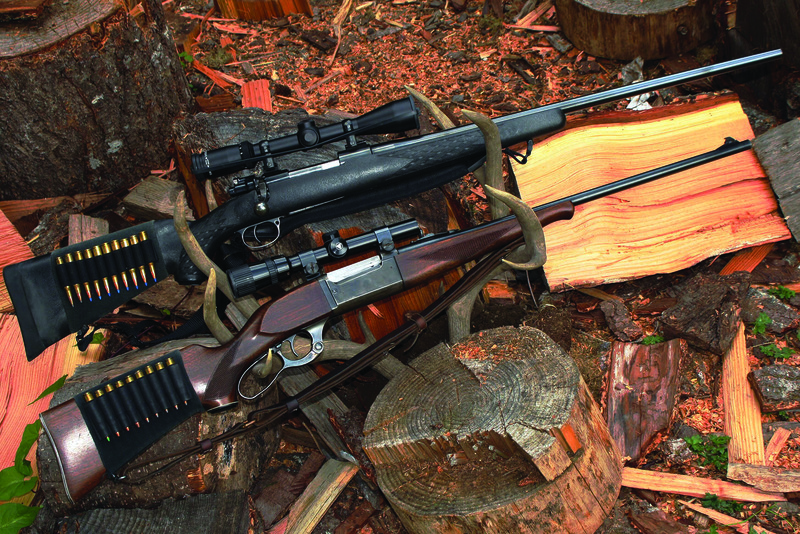 If your gun and scope are up to snuff, your season will come to a satisfying, albeit fairly quick, conclusion.